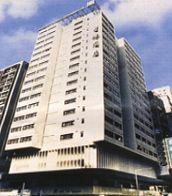 Well sited on the premier location of Wan Chai, with all means of transportation including the most advanced underground railway(MTR) at the doorsteps. Major commercial, cultural, exhibition and convention centres are in the vicinity, and of course the night-life is fabulous. Each of the 173 guest rooms are fully equipped with central air-conditioning, bathroom, radio and tape music, IDD telephone, refrigerator, etc. The Reception Desk provides not only secretarial services such as fax, copying and confirmation of airline ticket, but also sightseeing tours and postal arrangements.